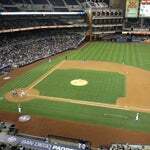 The first baseball game ever played at Petco Park, on March 11, 2004, was the first game of a four-team NCAA invitational tournament hosted by San Diego State University. 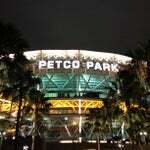 The first ever game ever at PETCO featured Mr. Padre, Tony Gwynn�but not the Padres. 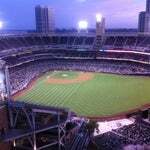 As manager of San Diego State�s baseball team, Gwynn led the Aztecs to a W over the Houston Cougars on 3/11/04. 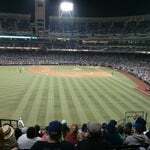 Bring a blanket to the game and sample the view from "The Park at the Park." There's enough space back there to fit 2,500 lawn seats! The stadium's first concert came on November 11, 2005, when it hosted The Rolling Stones. 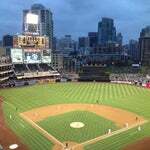 For great deals check out www.padres.com/promo use code"Friarhood"
I had the honor of throwing out the first pitch at this very stadium. 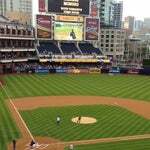 As soon as I left the mound I was offered a 7-year contract. Unfortunately, I was not able fulfill due to a prior engagement. 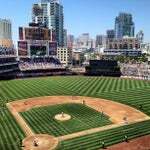 This is a good park to watch the Padres play baseball in. 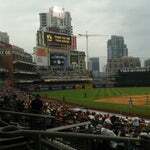 The Western Metal Supply Co. Building was constructed in 1909 and now houses the Padres Majestic Team Store, private party suites and rooftop bleacher seating. Patriotic. Powerful. Pride. 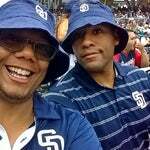 Padres. More P words. 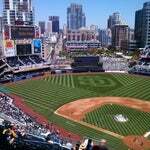 The foghorn that sounds after every home run is actually a recording of the Navy's USS Ronald Reagan, based in San Diego. Perfect! 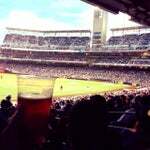 Go to a Padres game and reward yourself with a brew and a night of baseball. 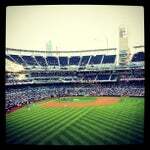 Bring your sun tan lotion and sand pail before checking out �The Beach� located just beyond the right-field fence. Buy your ticket online and swipe your credit card at the gate on the way in to get it. Works great! catch a game and go to the Hall of Fame bar in the Western Medals building! 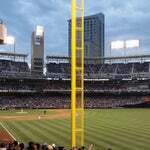 Best view of the park! Beautiful park and great location. 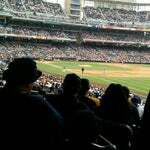 Tickets are pretty cheap so support our Padres! 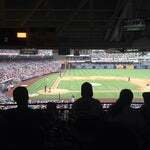 Go up to Club 19 on the Toyota Terrace level to see Tony Gwynn memorabilia. 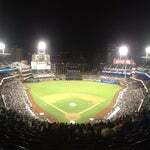 Toyota Terrace tickets are the best value here, but bleacher tickets are great for those trying to save money. 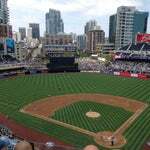 greatest ball park on the west coast! 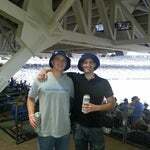 see a Padres v. Dodgers game. STAND UP AND CHEER! 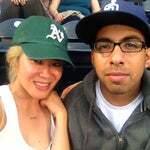 GO PADRES! Top Dining Options: Baja Bistro at Section 205; Breakfast at the Park on the field starting at 10:30 am before the game, first come first serve! Get a beer from Neil the Beerman at the Brickhouse Deli in the Western Metal Building. 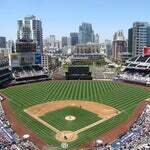 PETCO Park is a beautiful ballpark, and a great place to watch a baseball game. Park Pass tickets are great when you have young kids with limited attention spans. Check out our link for more info.